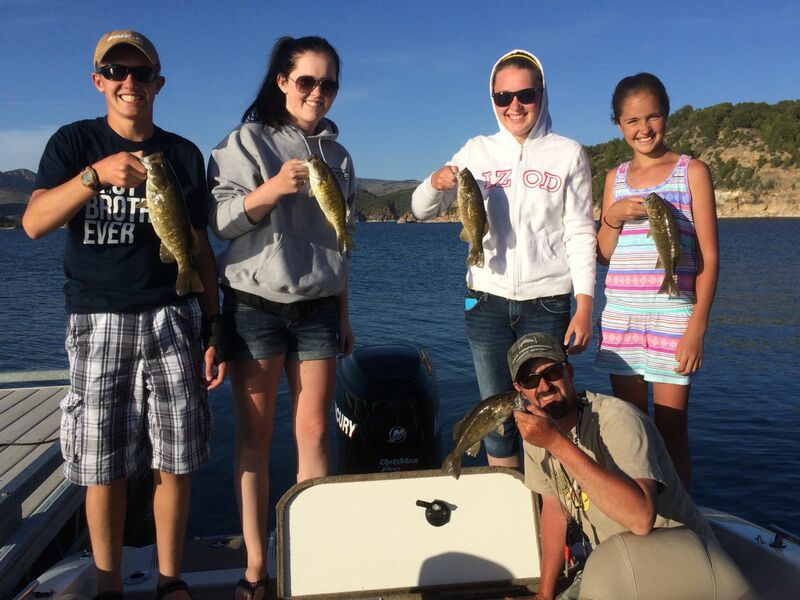 Fishing with your family is one of the least expensive ways to spend time together in nature and Flaming Gorge is the perfect place to do it. It’s true that people come from near and far to hook trophy kokanee, lake, and brown trout at Flaming Gorge, but don’t let that keep you and your family away. The world-class fishing found at the reservoir and in the surrounding waters is not just for seasoned anglers. These fisheries are practically overflowing with a variety of aquatic game (smallmouth bass, channel catfish, burbot, rainbow trout, and cutthroat trout) that ensure that there are more than enough fish to go around. 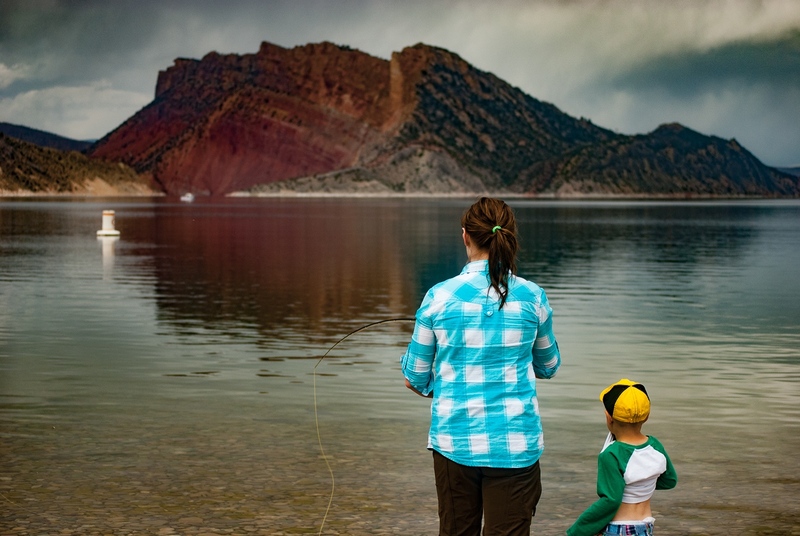 The scenic country of Flaming Gorge is filled with opportunities to make fishing memories that will last a lifetime. To get started, you’ll need to acquire the basic necessities. A spinning rod with line and needle nose pliers (to safely remove the hooks), lures and bait (worms, small marshmallows, cheese, powerbait), medium-sized spinners, spoons, or rapalas, and 1/8 to 1/4 oz. brown or black marabou jigs, plus a bobber or two, extra hooks, sinkers, nail clippers, and a tackle box to carry it all. 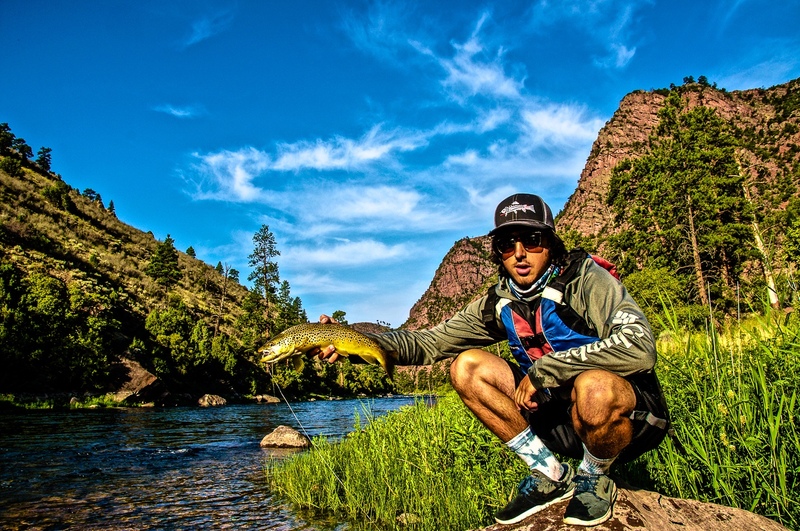 Most of this may be purchased for around $50 and can be found at your local sporting store or at any of Flaming Gorge’s three marinas, where you will also be able to get local advice and knowledge. Next, you will need to purchase a fishing license. Since Flaming Gorge Reservoir straddles the border of Utah and Wyoming, it would be helpful to plan ahead to determine where you may want to fish. Young children in either state fish for free. 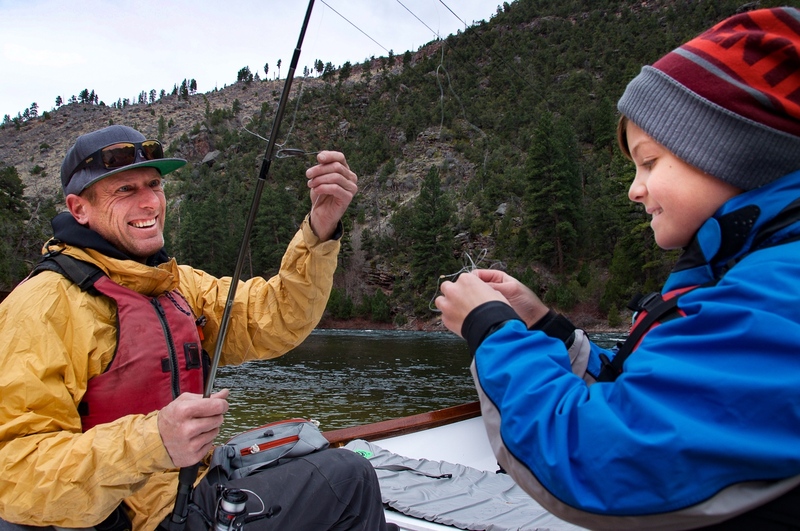 In Utah, kids 12 and under are not required to have a fishing license. Three-day, seven-day, or annual licenses are available online at www.wildlife.utah.gov. For Wyoming licenses visit http://www.wgfd.wyo.gov/apply-or-buy where you may purchase single days and annual permits. Wyoming residents under the age of 14 do not need a license. Non-resident Wyoming kids under 14 do not need a license if in the presence of an adult with a Wyoming license. If you plan on fishing back and forth across the state line, you will need a reciprocal fishing permit from the other state ($10). The following areas are easy-to-reach places that are ideal for kids. At the south end of the reservoir sits the 500-foot-tall Flaming Gorge Dam. Next to it lies an ADA accessible fishing pier stretching out over the deepest part of the lake. Easy access makes an ideal place to cast your line. Try dropping a night-crawler three to four feet below a bobber, then casting out from the pier where healthy rainbow trout are sure to take the bait. Before leaving be sure to take the free tour of the dam (9am - 3:30pm, Monday-Friday) and enjoy the view of the Green River as it spills south from the dam. Moose Pond is a small reservoir found along Highway 44 that is annually stocked with rainbow trout. Surrounded by mature lodge-pole pines it is easily accessed, has a paved trail, and if visited near sunset, affords ample opportunities to view deer and moose foraging near its shores. You can easily hook a fish by using powerbait, worms, or casting and retrieving a spinner. 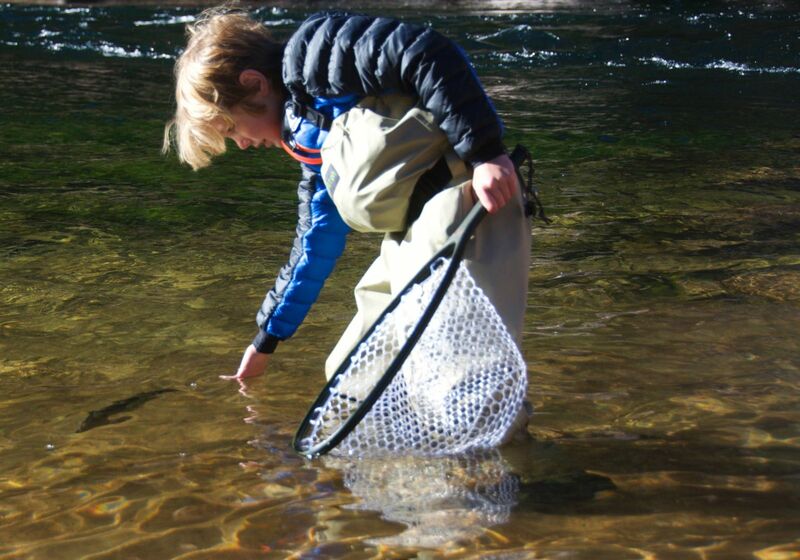 The free Kid’s Fishing Hole at Red Canyon Lodge offers great catch-and-release angling for rainbow and brook trout. Its grassy shores are perfect for young anglers to get the hang of casting. In the evenings, you stand a good chance of seeing deer watering at this pond. Don’t pass up the chance to stop in for lunch or dinner at their restaurant and make sure to head out to the Red Canyon overlook and visitor center. The blue ribbon waters of the Green River are a must visit for budding anglers. The "A section" is located in the steep and scenic canyon below the Flaming Gorge Dam. At the end of the "A section" lies Little Hole. This is an easy access area and allow for easy wade fishing. Here you are given easy access to miles of trout-filled water where the average fish caught is over 15 inches long. This part of the river is closed to bait fishing, so try casting and retrieving spinners, jigs, and rapalas and see if you can land a beautiful brown or rainbow trout. Floating this section of mellow river is highly recommended and is open to boaters with intermediate skills. Be sure to keep your eyes peeled as river otters and birds of prey are often seen here. Buckboard, Lucerne, and Cedar Springs Marinas all offer great beach/shore side fishing where any method will get the job done. Maximize fun time on the water by fishing from standup paddleboards or tandem kayaks. All of the marinas offer hourly boat rentals for maximum convenience. During warmer weather, drive up to the Uinta Mountains where the brook, cutthroat, and rainbow trout are so hungry they practically jump out of the water at Browne Lake, Sheep Creek, and Spirit Lake. Bait, spinners, and jigs—all methods will work equally well. For an awesome mountain retreat that your family soon won’t forget, consider renting a rustic cabin at the historic Spirit Lake Lodge for the duration of your stay. Watching the fish leap over the glassy waters of Spirit Lake late in the day just might become an annual tradition. Picture this: after a fun-filled day spent reeling in the bounty, relax at any number of campgrounds around the lake or on the porch of a cozy mountain cabin. And there, with the smell of juniper in the air, under a star-studded sky, in the center of the natural playground that is Flaming Gorge, your kids will be recounting the day’s events again and again, where their fish grow bigger with each telling of the tales. Thank you for visiting http://www.flaminggorgecountry.com/Family-fishing! Be sure and revisit flaminggorgecountry.com frequently for content updates and more.